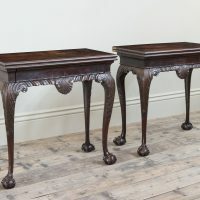 These impressive tables are a rare survival and well illustrate the flamboyant, freer interpretation of Georgian designs by Irish cabinet makers in the 18th Century. 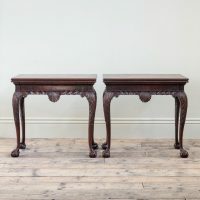 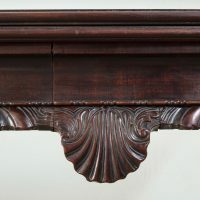 The employment of the flattened scallop shell to the centre of the frieze along with the trailing acanthus extending half way down the legs is particularly characteristic of 18th century Irish furniture although the carving to the present tables and the delicate shaping of the leg are more refined than to many contemporary Irish tables raising the possibility that, whilst distinctly Irish in design, the maker may have been trained in London. 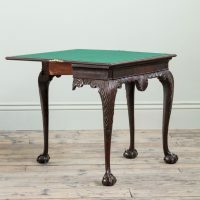 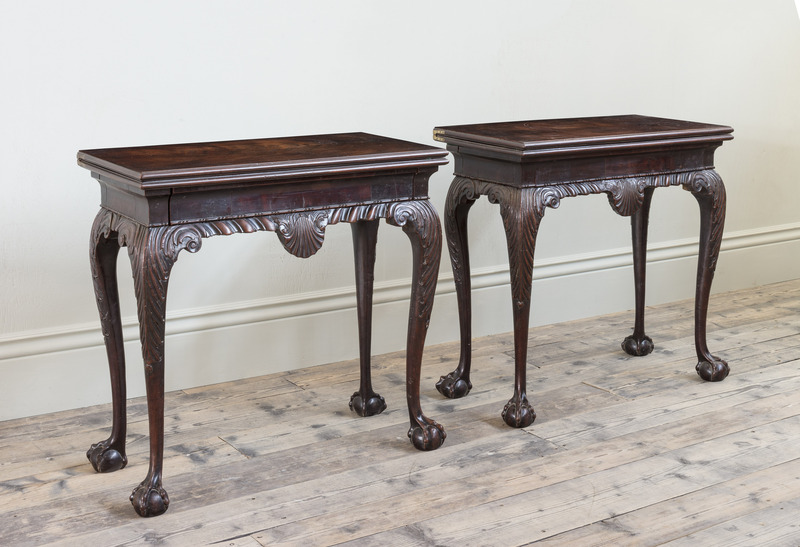 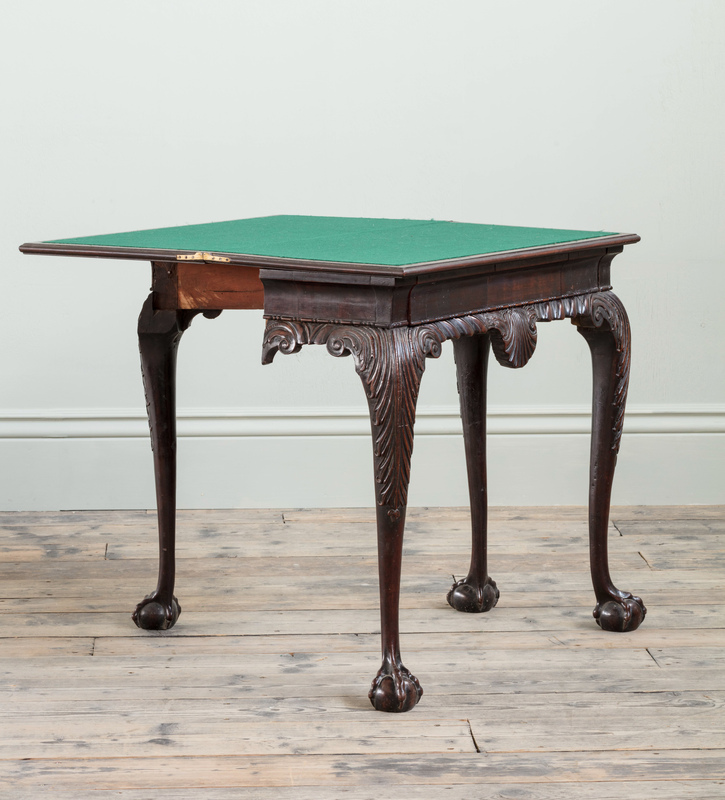 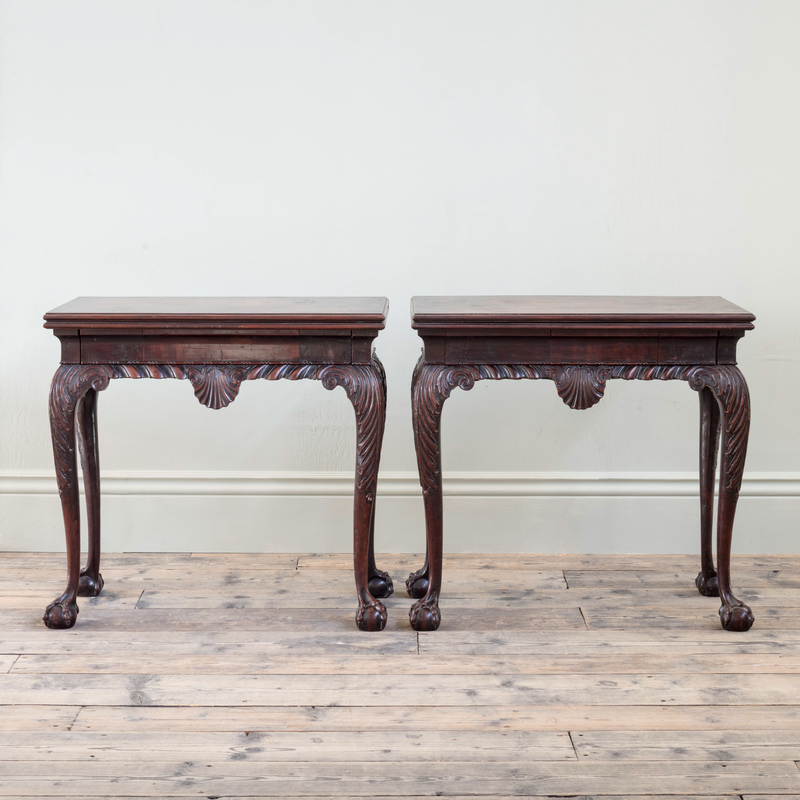 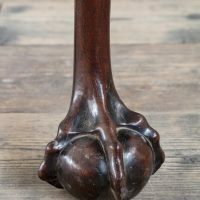 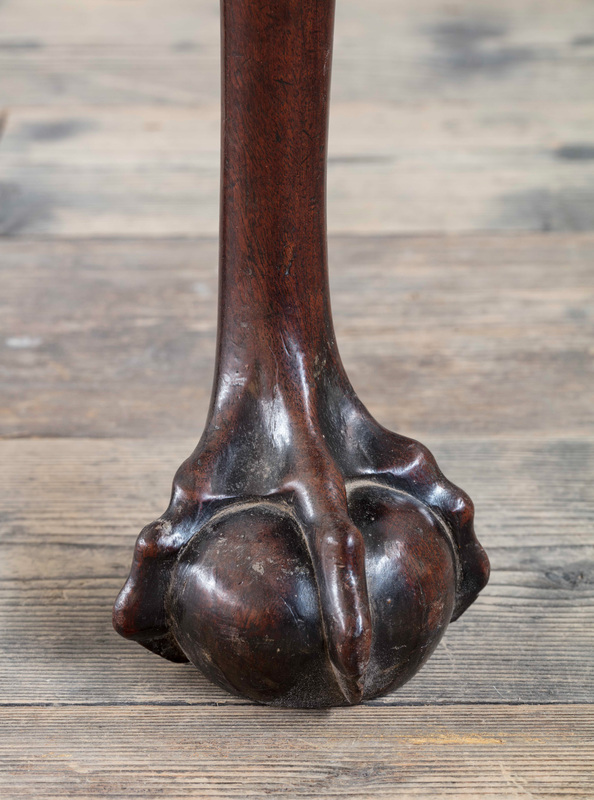 An important 18th century Irish serving table exhibiting the same manner carving to the legs was formerly in the collection of The Hon. 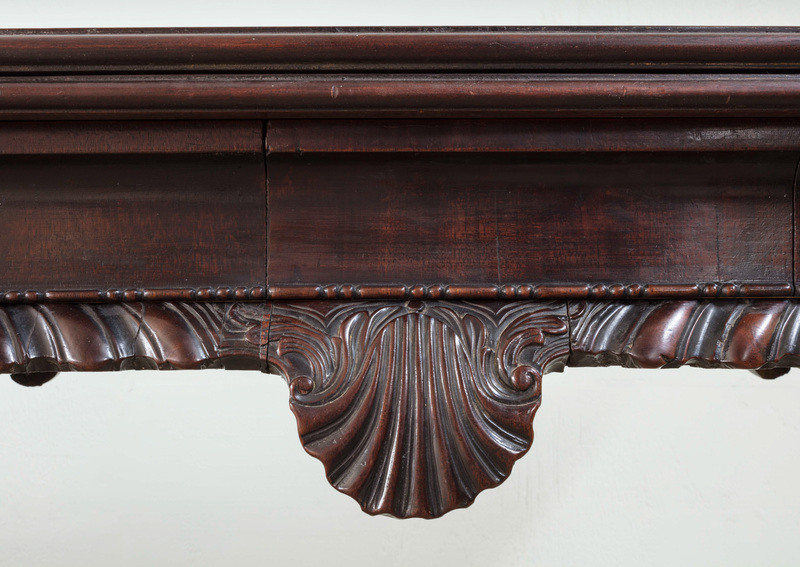 Desmond Guinness, Lexlip Castle, Co. Kildare, Ireland.